...Megs Williams! Congratulations Megs and thank you to everyone who left such lovely comments both here and on Facebook. 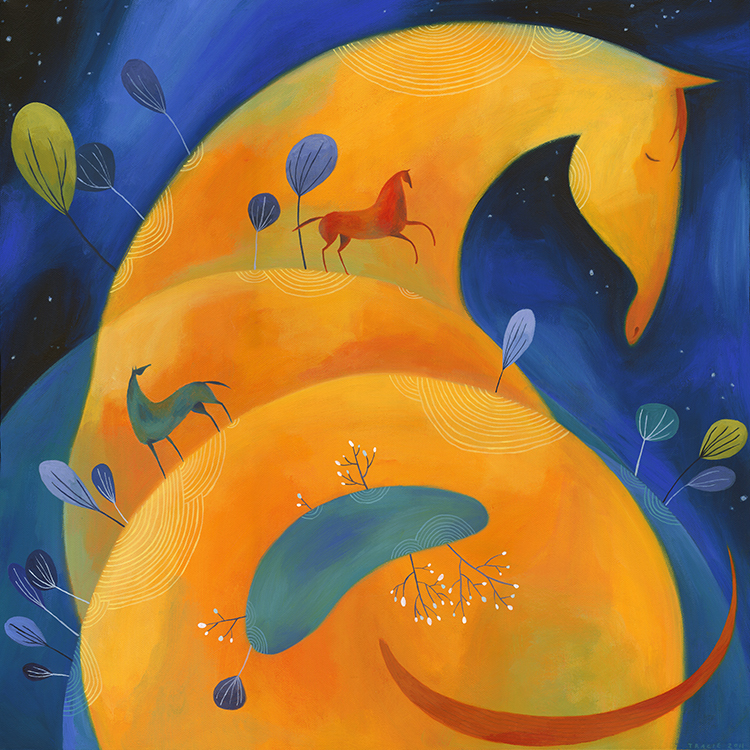 Megs chose a print of "Treasures". 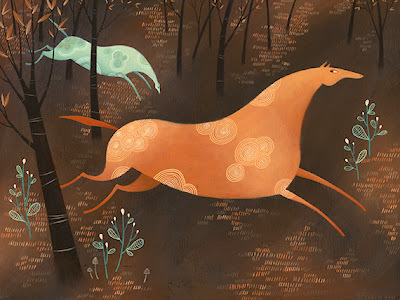 they Gleam in the Sun and Neigh in the Night. ...to enter my Print Shop Giveaway. I'll be picking the winner at random from the comments left here, and on my Facebook Page, tomorrow around lunchtime. 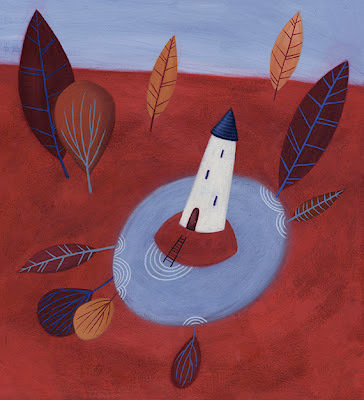 To celebrate the launch of my shop, I will give one lucky person a print of their choice. Leave a comment naming which print you'd like and I will pick someone at random this Friday. 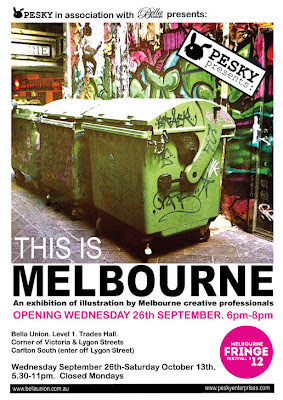 I've been invited to take part in This Is Melbourne, an exhibition of limited edition prints by Melbourne creative professionals. The show features all kinds of fantastic artists, including Makatron, Phibs, Shaun Tan, Andrea Innocent and Emma Leonard. I'm stoked to be amongst such a talented group. The opening is next Wednesday night at the Bella Union, 6-8pm. Everyone's welcome!